Introducing my newest quilt pattern, the Let’s Stay Home Quilt pattern. 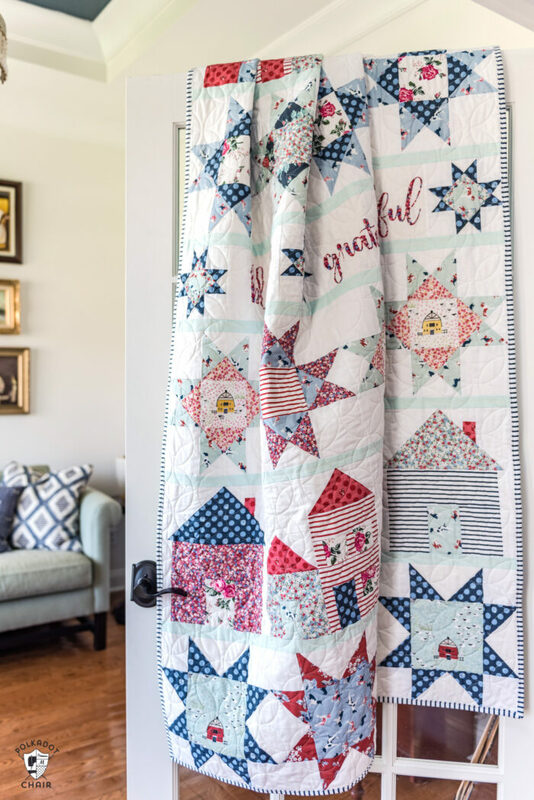 It’s a fun take on a traditional row quilt and features a combination of star and house quilt blocks. I’m so excited to finally be sharing with you a quilt pattern that I’ve been working on for over a year! 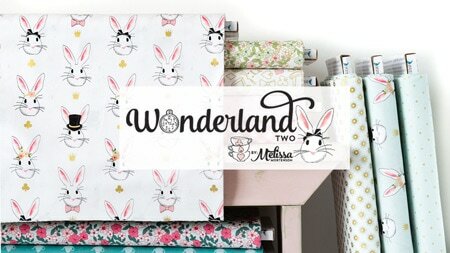 After I designed and submitted my Fox Farm fabric line to Riley Blake I started brainstorming ideas for a quilt pattern. At the time I had been traveling a lot. Most of it was for fun, but there were a few work trips thrown in that left me a little bit worn out. I remember one day my husband asked me to go somewhere (I don’t remember where) and I just said to him “can’t we just stay home?” I didn’t realize how much I had been craving home. 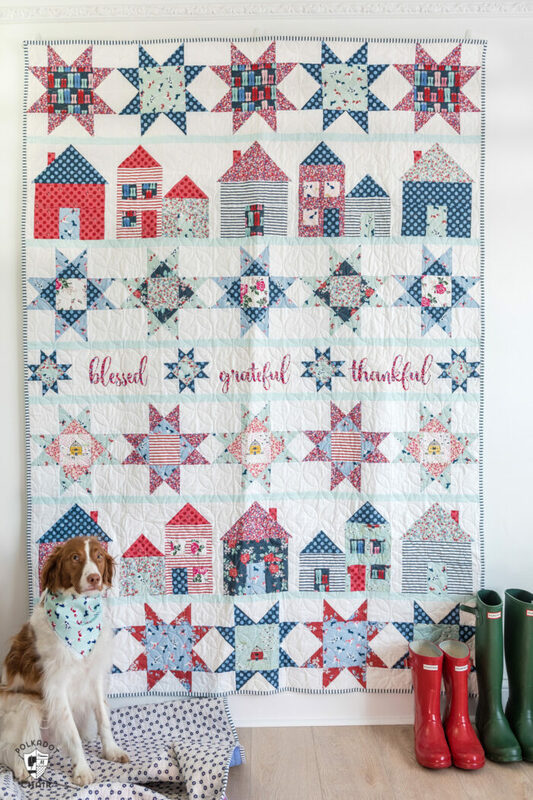 The Let’s Stay Home quilt pattern is a fresh take on a traditional row quilt featuring my Fox Farm fabric collection. It features 4 distinct rows of quilt blocks. Three of the rows are repeated twice on the quilt and the center row is unique. 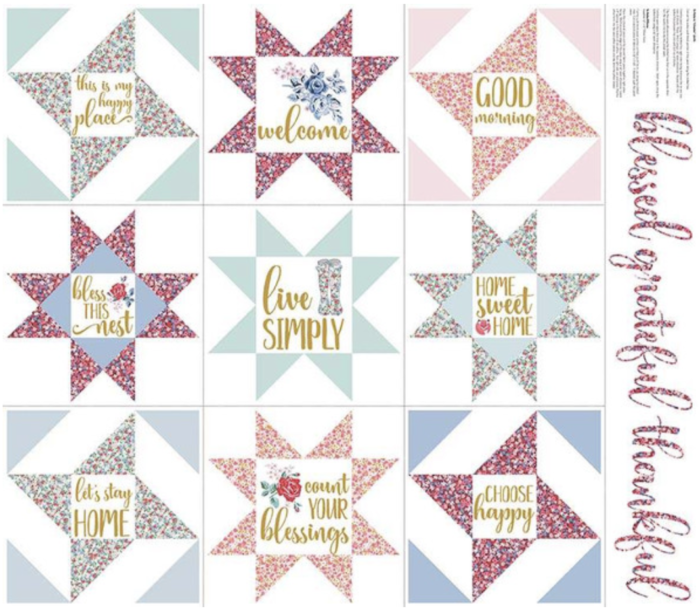 Two of the rows feature Ohio Star Quilt blocks and 2 feature Sawtooth Star Quilt Blocks. The quilt pattern is available now. You can get both PDF Version and a Print Version. 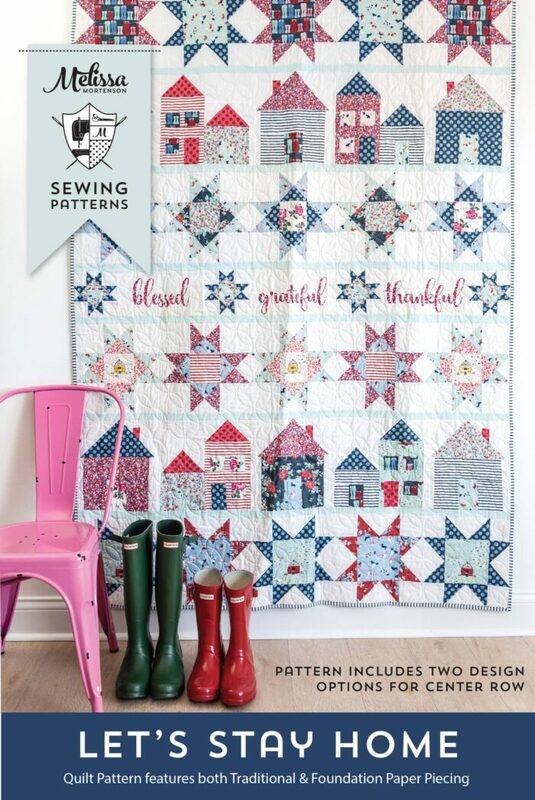 This quilt also features a combination of traditional piecing and Foundation Paper Piecing (FPP). Now, I know as soon as I said FPP I lost some of you. PLEASE don’t be intimidated by the FPP parts of the quilt. This is a beginner FPP pattern. As I was designing the house blocks, I kept getting wonky doors and windows. As much as I tried to be careful with my piecing and pressing I couldn’t get all of the pieces straight. There are some small pieces in that block. I decided that it would be easier and more accurate to create FPP for the house blocks. 2- It’s easier to plan for fussy cutting. If you want a dog to be peering out the window of your quilt block, you can put the fabric exactly where you want it and it stays there! The center row of the quilt features images from my Fox Farm panel. Here’s a photo of the panel and an example of how you can use the other parts of the panel. The panel will come with the quilt kits. If you don’t have a panel or don’t want to include it, there is an alternate version of the center row provided in the quilt pattern. Who loves a summer quilt? I do!! 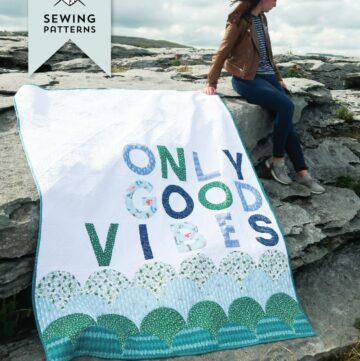 I’m going to be hosting a quilt along for this quilt starting mid-May. 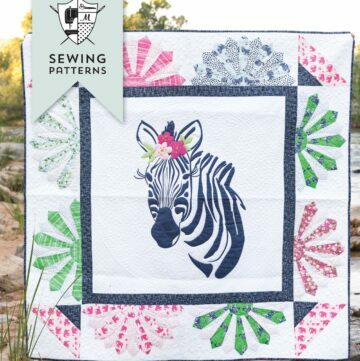 It will run through June and is the perfect summer quilt project. 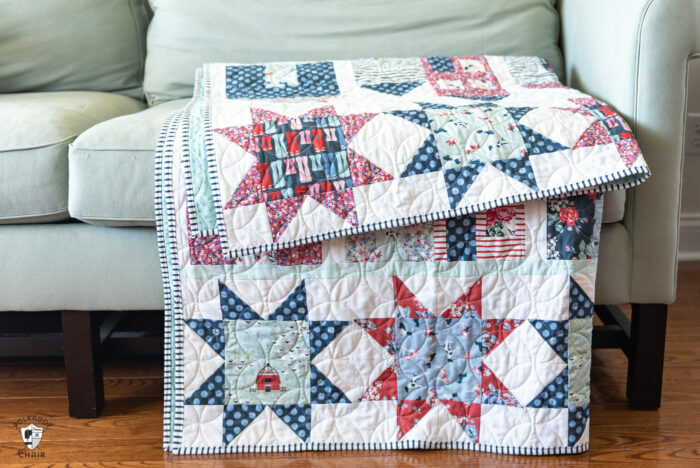 The red white and blue of this quilt just scream summer to me! Wouldn’t it make a fun picnic blanket or quilt in a camper or RV? (assuming you can keep it clean of course). The Quilt Along will be spread out through 6 blog posts. Each week we will post an instructional video along with tips and recommendations for creating the quilt blocks featured that week. Each of the rows of the quilt is 1 week apart, but then I’ve given you 2 1/2 weeks at the end to “catch up” in case you are behind with your blocks. 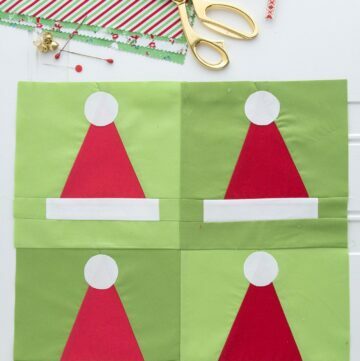 I’ve teamed up with Fat Quarter Shop on this pattern to bring you a set of video tutorials! There is one instructional video for each week of the Quilt Along. I was so flattered when they asked me to come to Texas to film with them, and had the best time and loved working with them. I think that you guys will love the videos they are putting together. 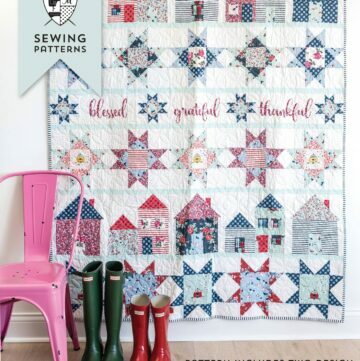 Riley Blake is making quilt kits for this Quilt Along and pattern. 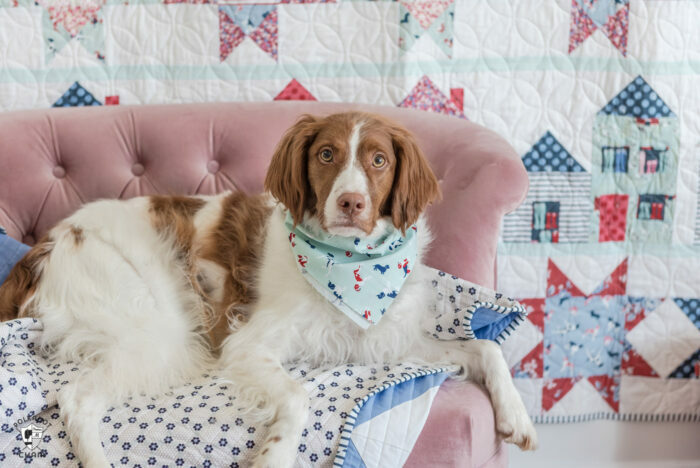 The Riley Blake created quilt kits come WITH the pattern. 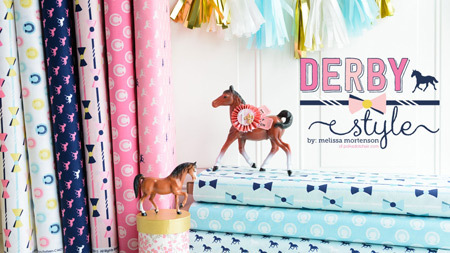 There are also many shops around the world that are creating their own kits for the pattern. Many are available now. 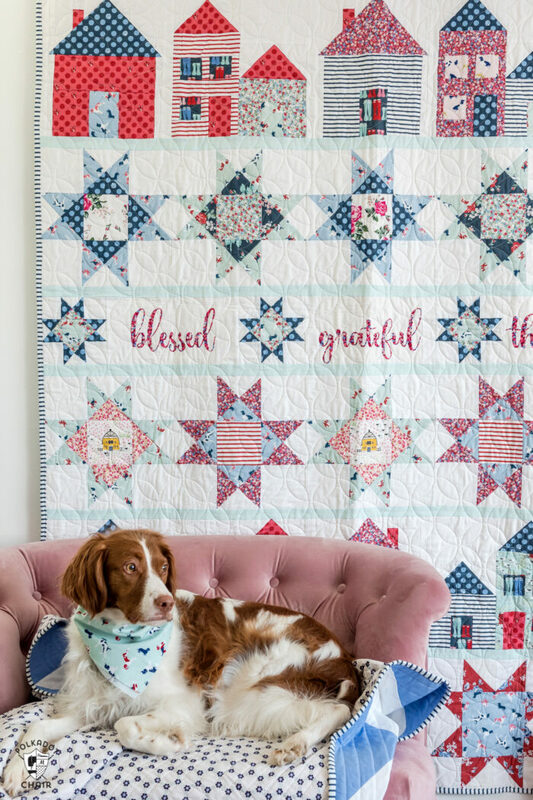 The Riley Blake created quilt kits will be available mid-May. Many shops will carry them including Fat Quarter Shop. I won’t be selling the quilt kits myself. 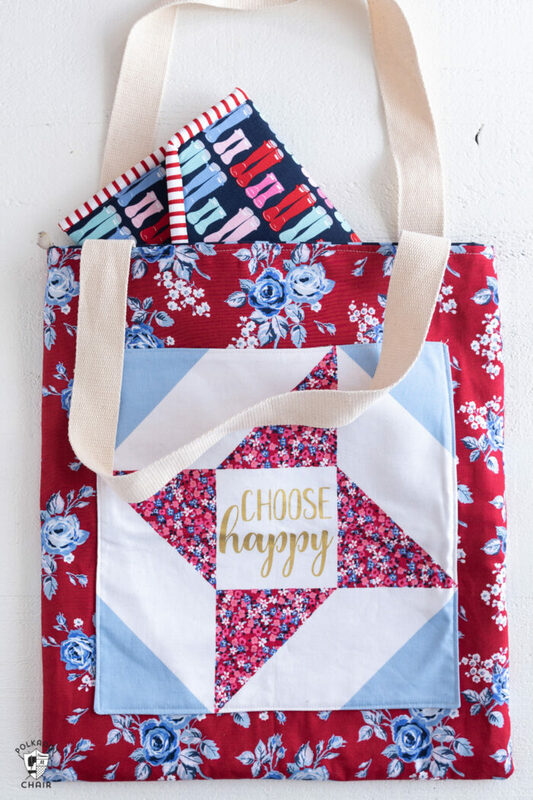 Check with your favorite brick and mortar or online quilt shop to see if they carry the kits. Since the kits don’t come out til mid-May you won’t be hearing from me again about the quilt along until then. I HATE it when people share stuff that I can’t get yet. Drives me crazy. 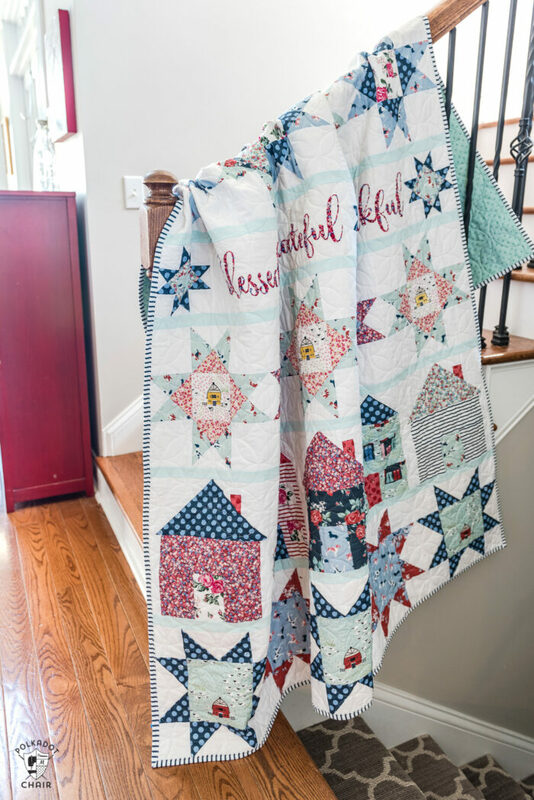 I was going to wait to share everything about the quilt pattern and quilt along until the kits were here but many of you got wind of the quilt along and were really excited to get going! Obviously, you don’t need to wait for the kits, you can buy the pattern and start sewing whenever you’d like! No. The posts will be here on the blog. 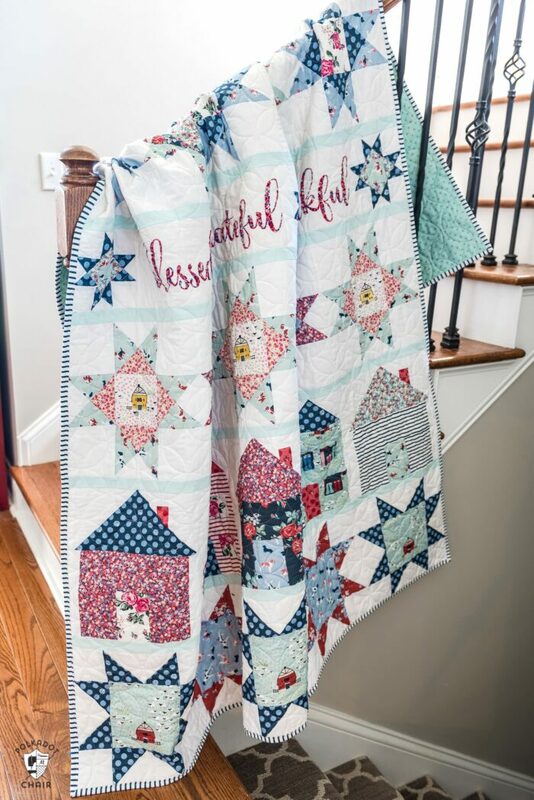 I’m not doing a separate email list for this quilt along because it gets complicated when there are a lot of email lists all from one person. 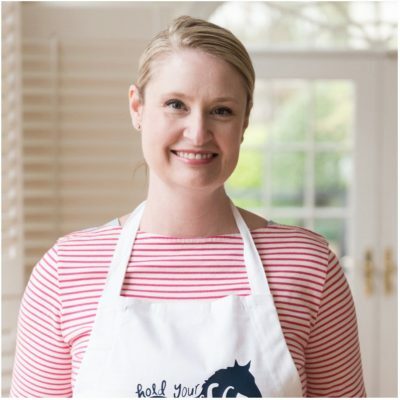 I prefer to keep things simple and have a sewing and quilting email list that I’d LOVE for you to join! It comes once a week and is full of fun ideas and tutorials. It will include all of the quilts along information as well. 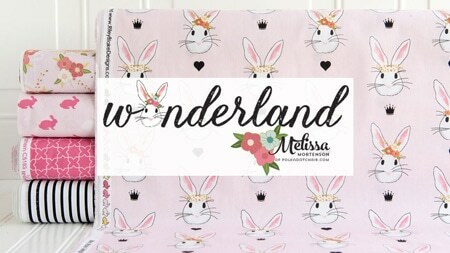 You can hop on over to the shop to grab the pattern! You can select either PDF or Print versions of the pattern. If you are a shop and want to carry it wholesale just contact me. 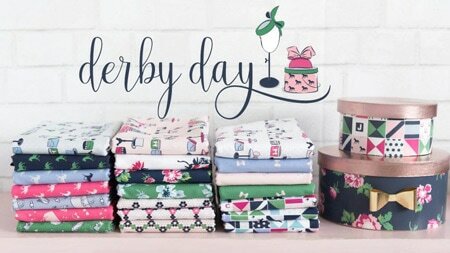 It’s printed yardage the same as the rest of the fabric from the Fox Farm line. Most stores that carry the Fox Farm fabrics should also carry the panel.